Indeed, one 46-gram package of peanut butter Nature Valley bars contains 230 calories, 11 grams of fat, 150 milligrams of sodium and 11 grams of sugar. 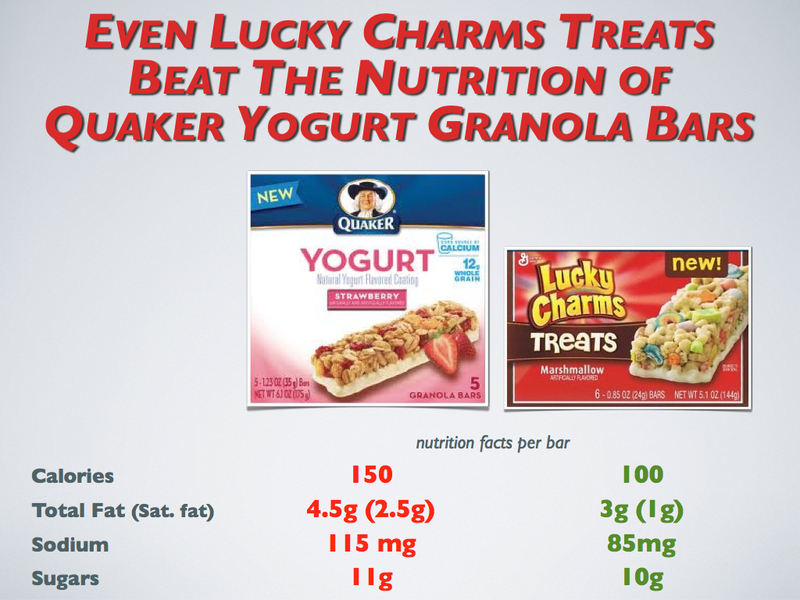 Compare that to a 45-gram Kit Kat chocolate bar, which contains 230 calories, 12 grams of fat, 35 milligrams of sodium and 22 grams of sugar. In serching through my baking files for all the not so healthly goodies we will be baking shortly, I came across a classic that I use to bake weekly for my kids lunches. 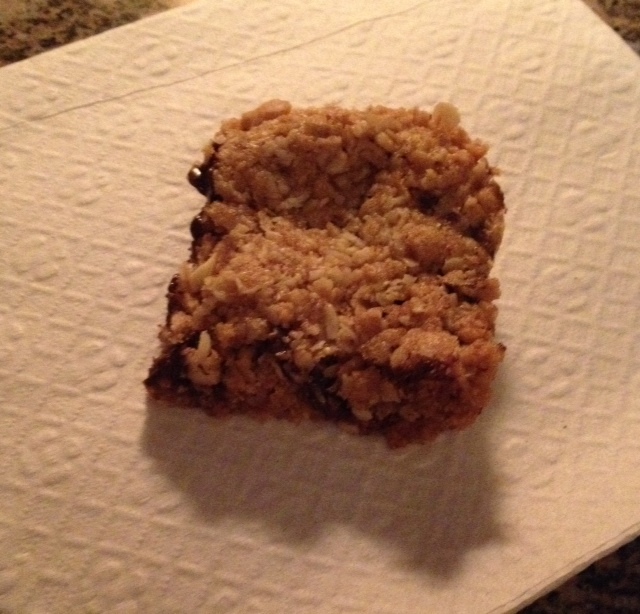 As well, I have been searching and trying different recipes for a granola bar. My Ridiculously Delish Granola didn’t quite work as a bar. My knowledge and experience has grown in the last 20 years from when I first made these that you are now going to get the latest version. And, by all means, take this recipe and play with it; ground flax seed, dried cranberries, raisins, ground nuts (almonds/walnuts), aw heck, a handful of chocolate chips. Gluten Free…..no problem. Apparently there are gluten free oats out there. Or how about quinoa or spelt flakes. *Spread evenly in ungreased 9×13 pan. Press flat firmly. Easiest way is with the flat bottom of a drinking glass. If it sticks as you flatten, simply run a bit of water as you go along and as needed. *In a preheated oven, bake 300 F for 20-25 minutes OR until golden. The longer it bakes the crunchier it will be. *Let cool on a rack for 5 minutes, then, cut with a sharp knife; butter knife if needed. *Let cool completely before removing from pan. Previous PostTop 10 Reasons to Exercise Regularly Besides Losing WeightNext PostDid I Miss The Memo…….close your mouth!! !